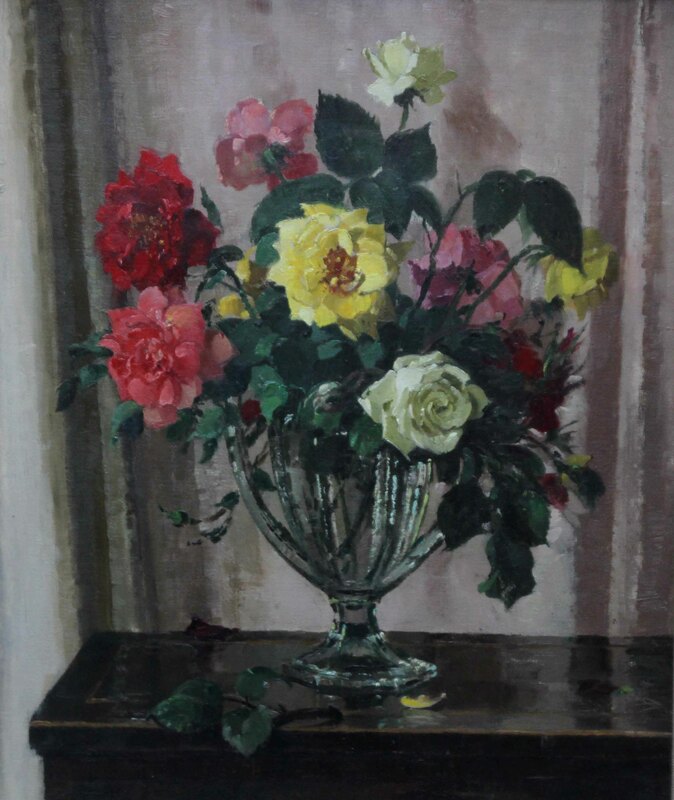 This charming 1930's floral still life oil painting is by noted British artist Herbert Davis Richter. Such is his artistry, the roses' stamens are clearly visible amongst the heavy impasto on the petals and dark green leaves. No doubt chosen for their fragrance, hence the title, these red, yellow and pink roses in a glass vase on a table are painted in such realistic detail one can almost smell them. A beautiful floral still life oil painting housed in an ornate frame. Signed lower right. Inscribed with title on stretcher and Robertson and Bruce Ltd label verso. 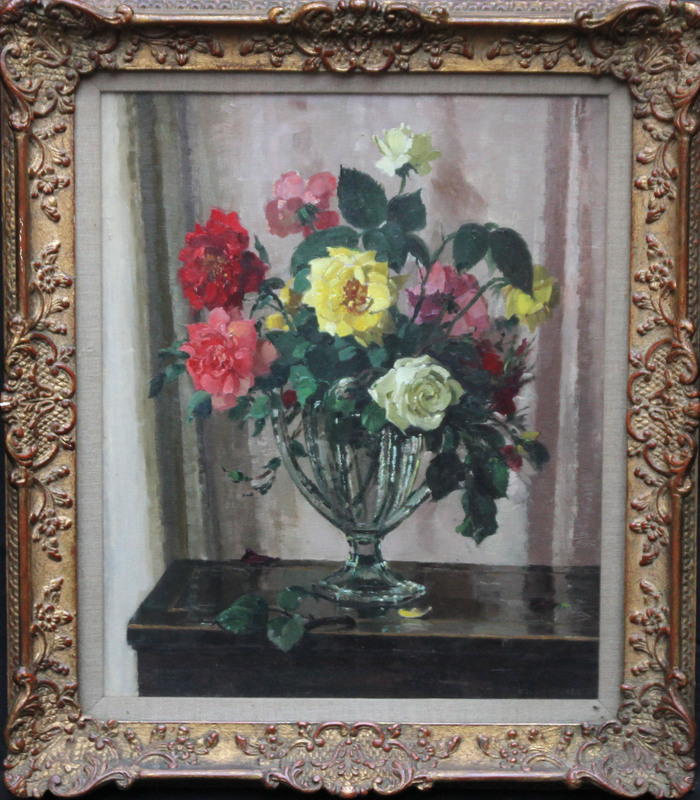 Housed in a fine ornate frame, 30 inches by 26 inches and in good condition.